Complimentary parking is available directly outside of the restaurant with over 100 parking spaces. Our award-winning culinary team will create a delectable, original menus for your special event on or off-site. Cannery Restaurant has a variety of private dining areas to accommodate 8 to 30 people. Capture a magical moment of Niagara-on-the-Lake’s past as you dine in one of its most historic buildings. The four-diamond Cannery Restaurant of today is reminiscent of its former life as a canning factory in the 1800s, where Niagara peaches and tomatoes were canned until 1957. 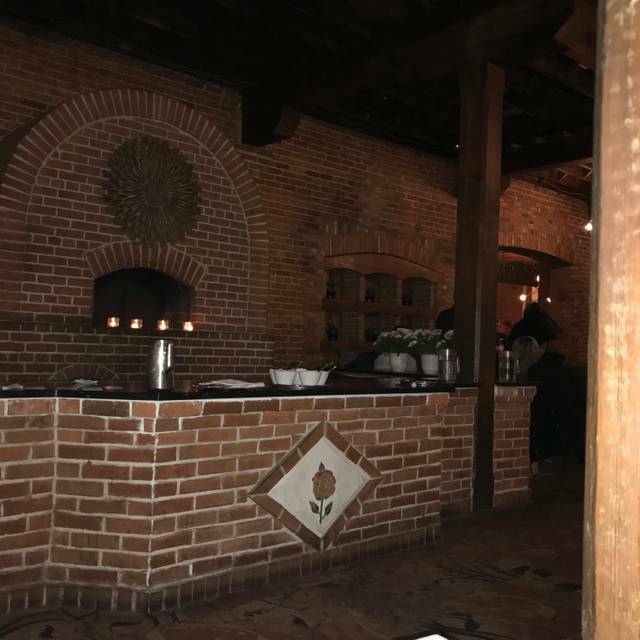 Its agricultural past has been lovingly retained in its décor of rough hewn wooden beams, rich red brick walls and a hearth at the heart of the restaurant. Chef Mark Longster continues to serve up the best of the region in his menus which feature the freshest local produce and fine wines. Charming and casual Cannery Restaurant is the place to find all your favorites, from succulent steaks to catch of the day to a fabulous Sunday brunch. 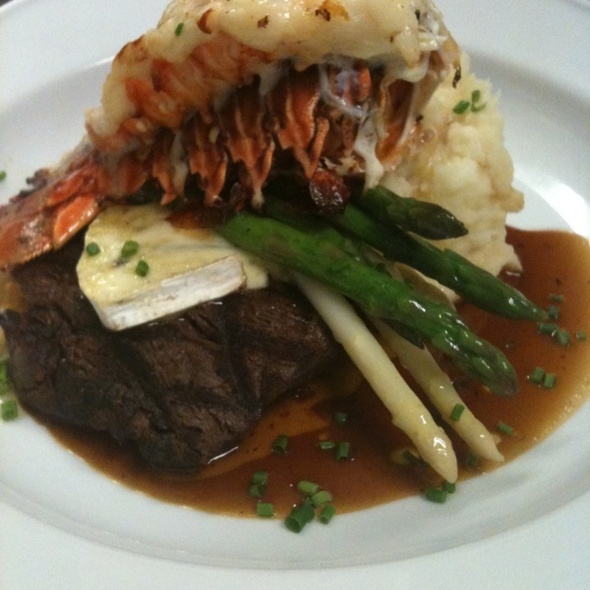 Chef Longster's food is prepared and presented perfectly, for your ultimate dining experience. There was a wedding reception taking place. The volume of the DJ and amount of bass drowned out the quiet ambient atmosphere in the dining room. As always, the Cannery was a delight. 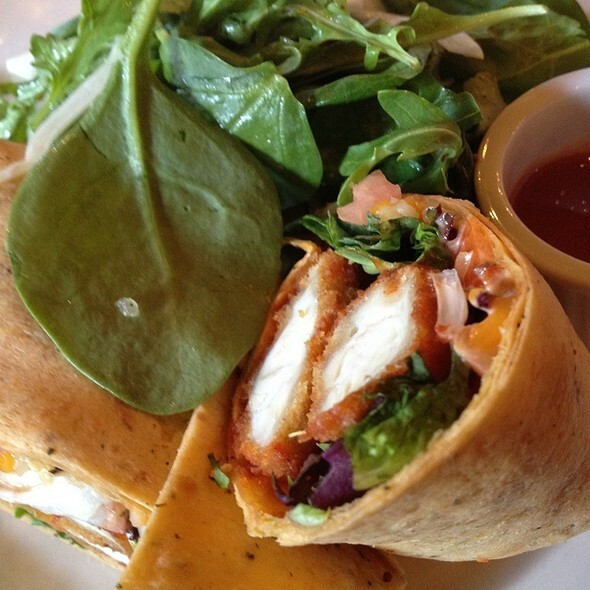 Good food, excellent service. We discovered a 2008 Vouvray which was almost like an ice wine to the nose and palate. The only downside to the evening was a crying baby ~6m old. Why do parents of young children feel they can inflict their little cherub on others. At 9pm, the child should have been in bed! My parents never took me to a restaurant until I was 14, knew the difference between a medium and a rare steak, and could identify 1 favourite white wine and 1 red! Thank you as always Cannery. Nice setting. Good food, great services. Highly recommended. Please ensure that the server Silvana gets some recognition for her amazing service, great attitude and attention! She's the best! We were First Timers at The Cannery. It was recommended by the Concierge at 124 Queen St.
Our evening was Delightful... meal was incredibly Delicious (even with the ‘special’ meal of surf ‘n turf...which we both ordered... ran out of Lobstertails...). Scallops were substituted and they were Lovely!! Our Server was very Professional, and should be your Benchmark for all Servers. We hope to return for another Wonderful experience! We are The Decker’s. Saturday, April 6, 2019 at 7:30 pm. Very disappointed with the service. Heard rave reviews before we made reservations. This was our wedding dinner. Food was average. The waitress was not the friendliest or the smartest, as she took the men’s orders before the women. The breakfast at the cannery - great food, many choices. One exception - we were having a nice quiet romantic breakfast by the fire but customers seated after us ( 2 inspectors?? - business to do with the hotel should not been done in the restaurant) . They were loud and an employee from the hotel speaking about costs and staffing. This should have been done elsewhere - in the lounge not where patrons could here every word. Maybe future meetings should be held elsewhere. This restaurant....this food...the service...WOW! I can not say enough great things about this experience. We stayed at the prince of Wales hotel and so got the dinner package for the cannery restaurant. Even without this package it would have been well worth the cost. We had Melanie as our server and she was extraordinary. Very personable and professional! The food speaks for its self, I had the appetizer trio (lobster chowder, duck confit bruschetta, and a crab cake) it was delicious, I would have been impressed with the appetizer alone! For the main I had Melanie’s recommendation...the beef tenderloin. Wow, cooked to my liking a medium rare served with truffle mashed potatoes that were to die for and root vegetables. To finish off the meal I had the salted caramel creme brûlée, it was the best I have ever had, so thick and so rich. The three courses is a lot of food, be sure to go hungry! This restaurant has become my new favourite and I will be sure to return hopefully sooner rather then later! Dear Guest, Thank you for taking the time to write a review for us. I’m really happy that you enjoyed your dinner with us at The Cannery. Thank you for being such wonderful guests, and we look forward to welcoming you again in the near future! Very nice place, good music that was not loud so we could have a normal conversation. Food was good and the service was great. Recommended. Dear WeaponH, Thank you for taking the time to leave such positive feedback. It is truly pleasing to hear you enjoyed your visit with us. We look forward to welcoming you again at The Pillar and Post! This was our second visit here for breakfast and it didn't disappoint. A fantastic breakfast with great selection. Mike the chef makes the best omelettes! We will be back. Dear Catsmeow, Thank you for taking the time to write a review for The Cannery. I'm truly happy that you enjoyed both of your breakfasts. You're definitely right, Mike the Chef can make amazing omelettes. We look forward to welcoming you again at The Cannery. We enjoyed two lovely meals here and was not disappointed. 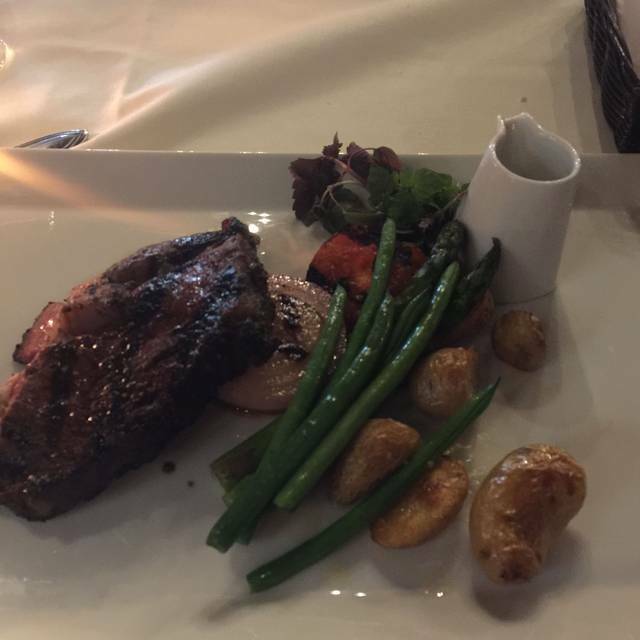 Food was incredible and service was very friendly and attentive. The restaurant added a personal touch to my wife's dessert by recognizing her birthday. Overall my experience was incredible and helped make our 2 day getaway a memorable one. Dear MichelleR, Thank you for taking your time to review The Cannery. Thank you for your comments regarding the friendly and attentive service. I am so glad that you had a memorable experience. We truly do have a great team. We look forward to welcoming you again. 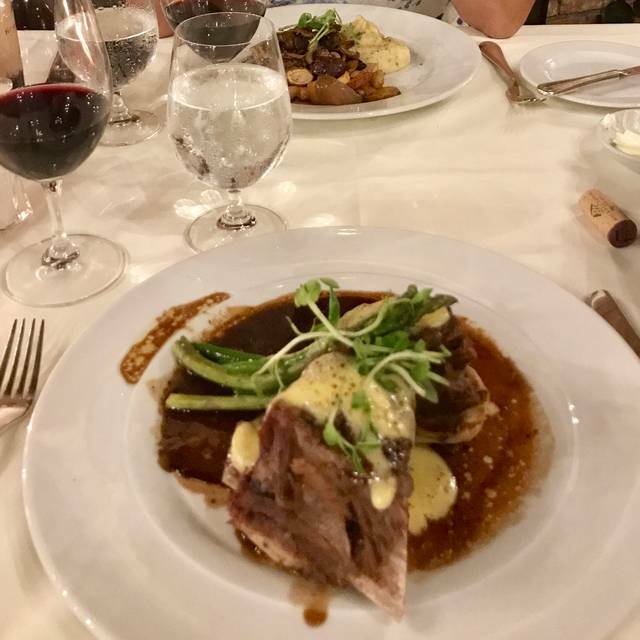 We spent our wedding anniversary at the Pillar and Post and with our weekend package we had a three-course menu at the Cannery. Everything was delightful. Amazing service by our server who quickly accommodated my GF needs, was friendly, informed and totally on her game. 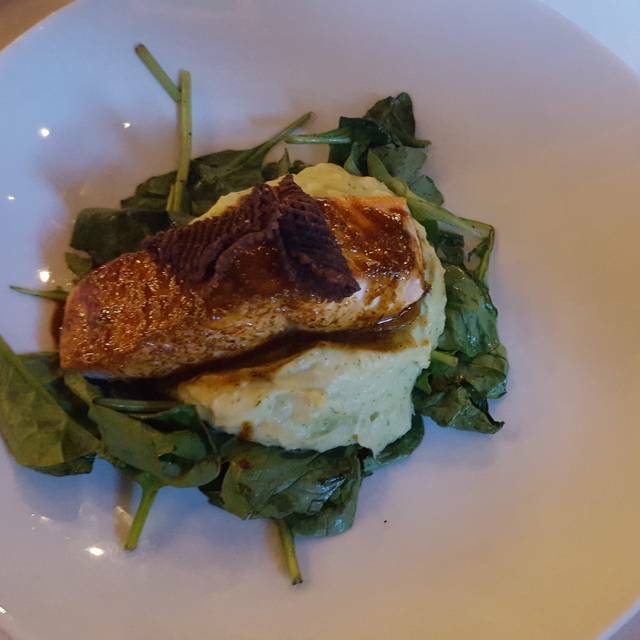 The food was fantastic - highly recommend the salmon, and the portion sizes were very generous, despite us being on a package. Highly recommend. Thanks for having us. Overall amazing experience. Perhaps the best Salmon entree I’ve ever enjoyed. Atmosphere was top notch. Obviously it is not cheap but in this case we got what we paid for which was an incredible meal in a historic environment. Great restaurant with the stay package we booked, however prices for regular menu are very expensive. Menu was different from what we were shown upon booking. 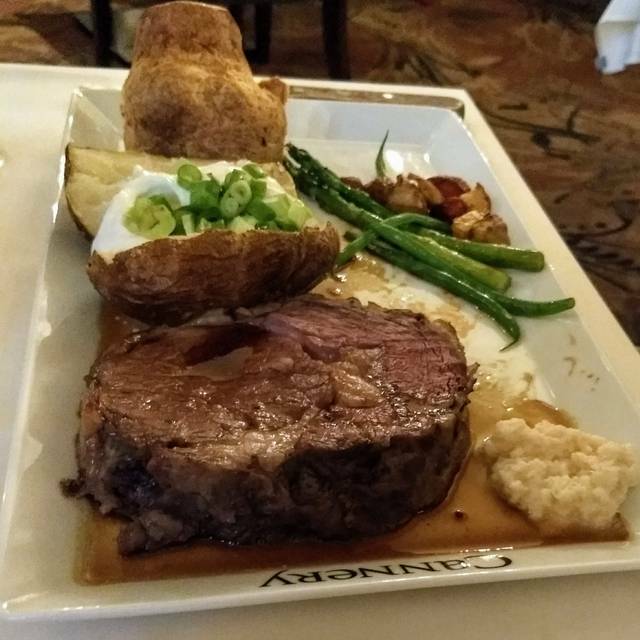 Paid extra to have prime rib dinner that was fabulous. Service could have been a bit quicker but the restaurant was busy. Prime rib was delicious, highly recommend it. Wonderful atmosphere and service. Amazing prime rib! Great service. Beautiful restaurant. Highly recommend! Very good food and service. I would recommend the Cannery for dinner. I had the risotto and it was just like eating wine. There was no there favors and to be honest it was really hard to eat, but felt the need to be of the cost. My finance loved the prime rib and banana fritters. Awesome! Our server, Nick, was working his first shift ever at the Pillar & Post. He performed like a pro! He kept his visits at a reasonable length of time and answered some of our questions, like: "Is there a ghost in the dining room?". Being so new, he went and asked some experienced staff and came back with an answer.........Bravo, Nick!! Exceptional service, food, ambiance. A little on the pricey side. Our bill came to $160. For 2 people, approximately double what we we would normally pay for a dinner out although we did have 3 draft beers between us which is unusual for us. The bread left a lot to be desired - was cold and a little stale. The main course however was delicious and the portions were more than sufficient. Desert was equally as tasty. This was our second time having breakfast there and we enjoy it immensely. 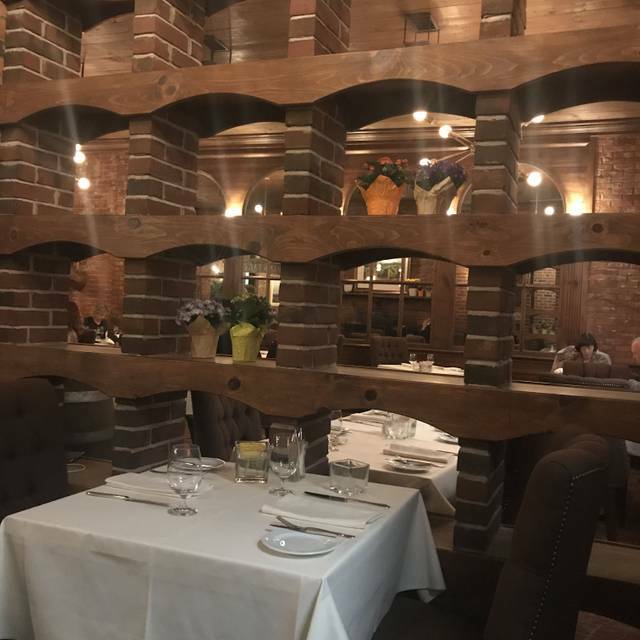 The food is excellent, the ambience is lovely and the service is fantastic. We'll be back. We dined 2 nights in a row, and we were impressed both evenings! We had Sharon as our server both nights as well, she is excellent! Can't say enough good about the Cannery restaurant. The food is fantastic, the service is great and the ambiance is wonderful!! It has become our best restaurant! We went for Fabulicious. We did not get a choice for dessert. Other than that a nice experience. The service was very good. From the person who welcomed us at the front desk to the young waiter who served the sour cream and butter for our baked potato. The food was exceptional and cooked to our requests. Our waitress Alyssa was attentive and very knowledgeable about the menus and made our meal a memorable one. Thank you Alyssa. 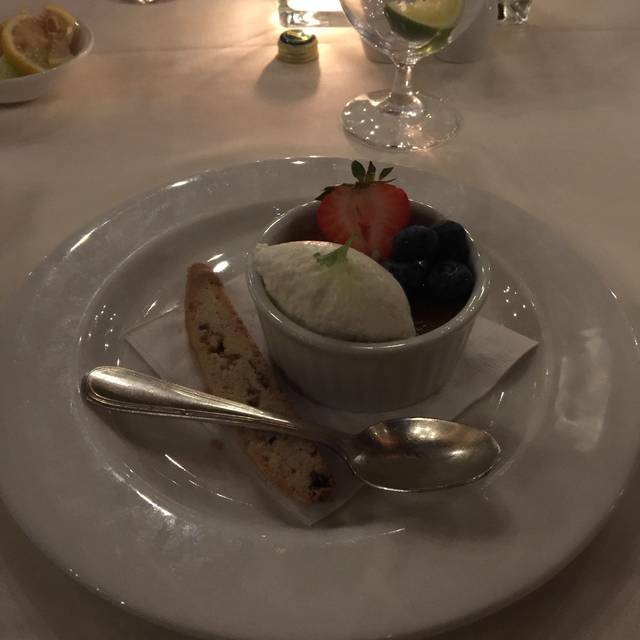 A wonderful dining experience for special occasions, our host Melanie was very attentive and made our evening run smoothly but unhurried. One small comment, the pricing structure online differs from the actual menu pricing (we may have been looking at an older posted menu) otherwise a very enjoyable evening. Excellent service and you must try the short ribs, they are delicious. Our waitress went out if her way to to be helpful. We had a great table by the fire and our server was delightful. Dinner was excellent and the prime rib was perfect. We shared the peanut butter bar and it was decadent. Definitely a great choice in NOTL. We had a wonderful stay at the Pillar and Post and dining at the Cannery was a nice way to finish the trip. The service was great and the food was amazing, portion size was generous. always a good meal at a fair price for a upscale restaurant. the staff is very attentive and the food is served timely but not rushed. a great place to celebrate a special occasion. It was a holiday weekend so it was busier then usual, but our food came out cold. . . And it took us about 45 minutes to get our food. We come here often but this last time was probably the deal breaker for us.